(Formerly It Takes Two: Through Our Own Contributions). 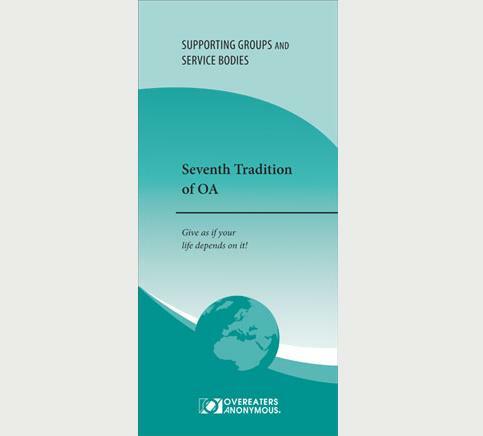 Details the vital recovery services supported by the Seventh Tradition at all levels. Includes information about how OA’s finances are managed, a description of OA’s structure and suggestions on how to financially support your Fellowship.